Indesco was called on by the Land Development Agency to undertake a stormwater management review and to develop stormwater drainage options for the development of the Harrison Residential Estates. The study occurred concurrently with a planning study for the suburb. Within a short time frame Indesco produced a new concept plan for a naturalistic floodway and associated ponds/wetlands addressing flood retardation and water quality to maintain pre-urban conditions and meeting the development intention for the suburb. This permitted the planning and development of the Harrison Residential Estates to take place with a cost effective solution for stormwater drainage management. The construction costs using Indesco design have saved the development cost of this major drainage system some $6 - 8 million or approximately 50% of the estimated cost for the original proposal. 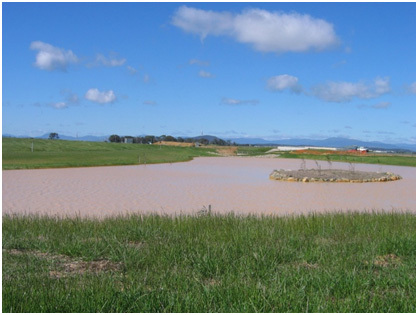 The firm achieved PSP status for this project within 6 weeks, involving extensive hydrological studies, sensitive hydraulic design with off-line water quality wetlands and on-line retarding basins. Indesco were subsequently engaged to undertake the detailed design, documentation and construction phase services for Stage 1 of the floodway between Flemington Road and Horse Park Drive. The project was valued at $8m with Stage 1 ($3 million) completed in 2004. A trunk sewer was also constructed with the project.